Started in 1999, Pics4Learning is a safe, free image library for education. 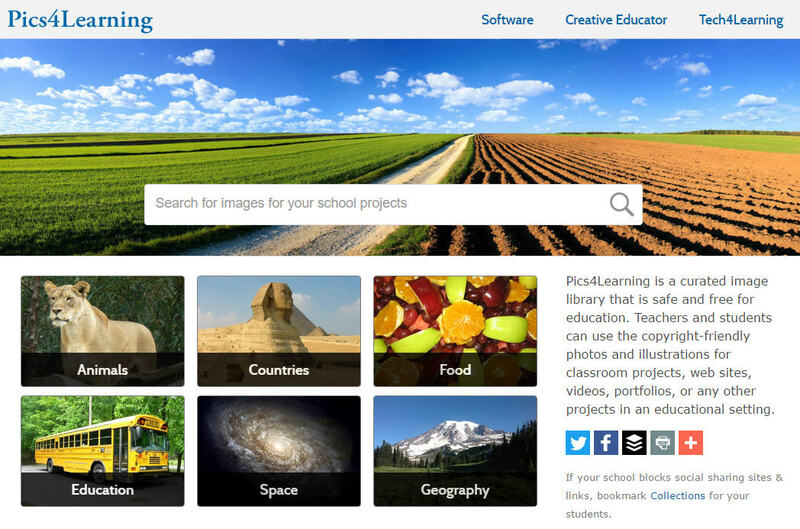 Pics4Learning is designed to make it easy for teachers and students to find and use copyright-friendly photos and images for classroom displays, multimedia projects, web sites, videos, portfolios, and more. The Pics4Learning image library is now integrated into the SNAP search product for education from Tek Data. Pics4Learning is an education-friendly source for over 30,000 copyright-friendly photos teachers and students can use in classroom projects. Students and teachers view over a million images from Pics4Learning every month.